What does Facebook say about you? Is your Facebook profile employer ready? Facebook has become a professional tool employers use to vet potential employees. Make sure what they see isn’t harming your chances of getting a new job. 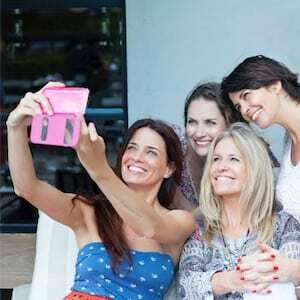 Are you an obsessive selfie taker? Are your weekend antics splashed across your timeline? Do you have a tendency to share questionable material? Perhaps it’s time to review how you use Facebook and consider how it’s affecting your career prospects. Remember, along with fine-tuning your CV, ironing your best shirt, and researching the companies you’re interviewing with, it may be time to pay a visit to your Facebook privacy settings and review what you’re revealing to the world. Remove any photos, content and links that can work against you. Keep your issues offline! Focus your content on positives and make sure to highlight your achievements or interests. Create your own professional groups to network and establish relationships. Remember others can see your friends, so be selective about whom you accept. Make sure to monitor comments made by others and posted on your timeline. Don’t mention your job search if you’re still employed. It’s unprofessional! Next post: I’ve finished my study, now what?